Here's a brain teaser that is sure to engage the brain and make learning fun. This Alphadoku puzzle uses a unique nine-letter word to create the challenge. 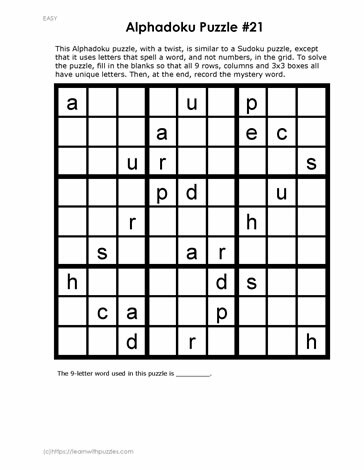 Solve the puzzle by using basic Sudoku rules where each letter can only occur once in a column, once in a row, and once in the three-by-three grid.